During today’s launch event, Amazon CEO Jeff Bezos told the audience that the media was constantly asking him when his company would build its own phone. I’ve been in briefings with Bezos and yes, this line of questioning has actually happened. Today, he answered that question. 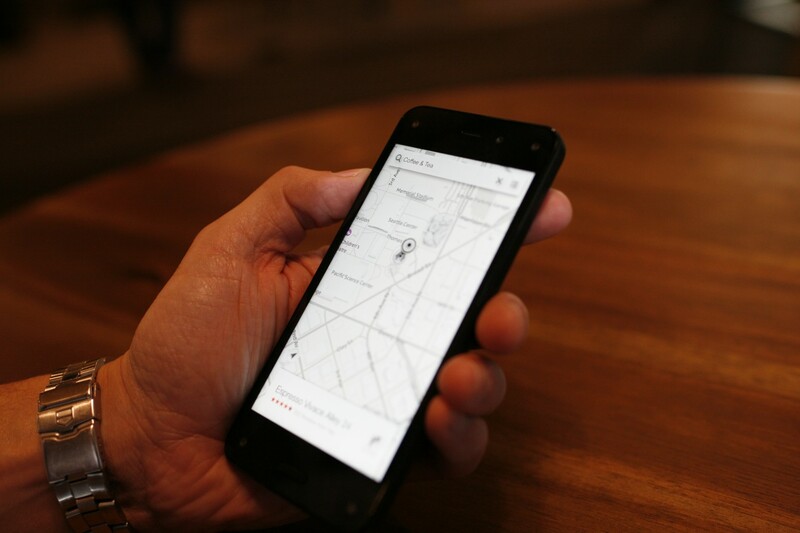 The Fire phone is a such a part of the Amazon ecosystem that it has a hardware button to help you add items to your cart. Even AT&T CEO Ralph de la Vega joked that he had to keep the phone away from his family so they wouldn’t purchase items with the Fire and OneClick purchasing. 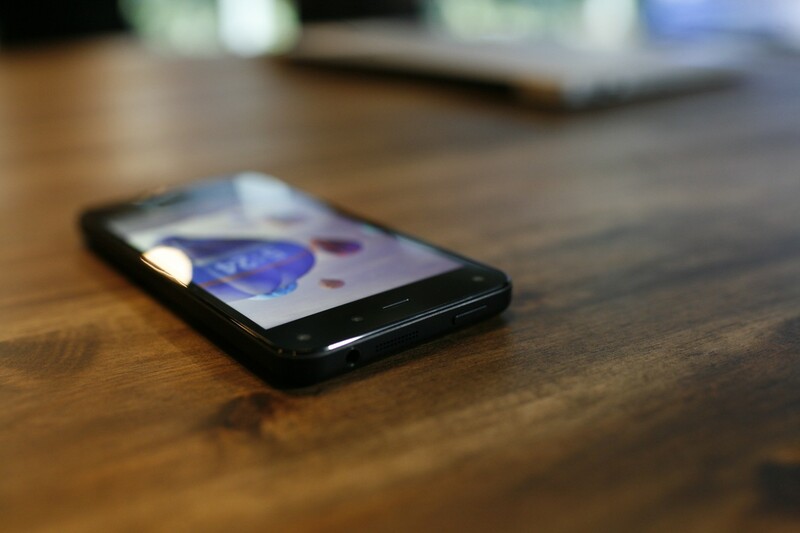 After today’s event, I had a chance to try out the One Click in your pocket at Amazons campus in Seattle: It’s a nice phone, but right now, unless you’re a hard-core Amazon fan, you should wait until full review of the device can be conducted before you place that pre-order. 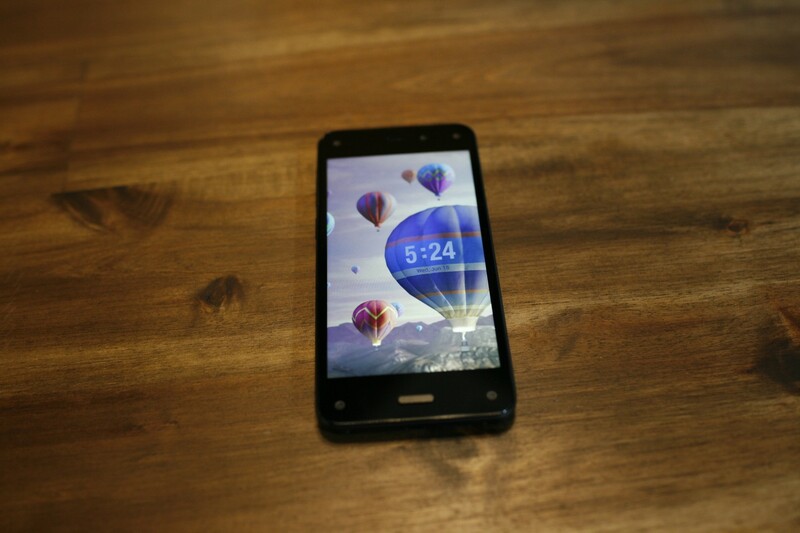 The teaser video for the phone featured people amazed by the 3D display. Called Dynamic Perspective, in real world use it’s actually great in some instances, a gimmick in others. When asked about the battery hit, an Amazon spokesperson told me the feature won’t drain the battery any quicker than normal use. 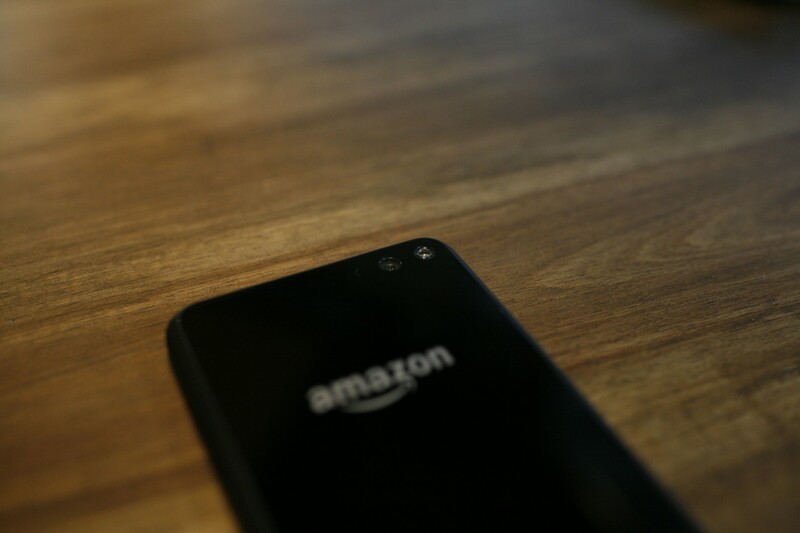 Amazon has released the Dynamic Perspective SDK to developers so there’s virtually no limitation to what can be done with the four front-facing cameras. 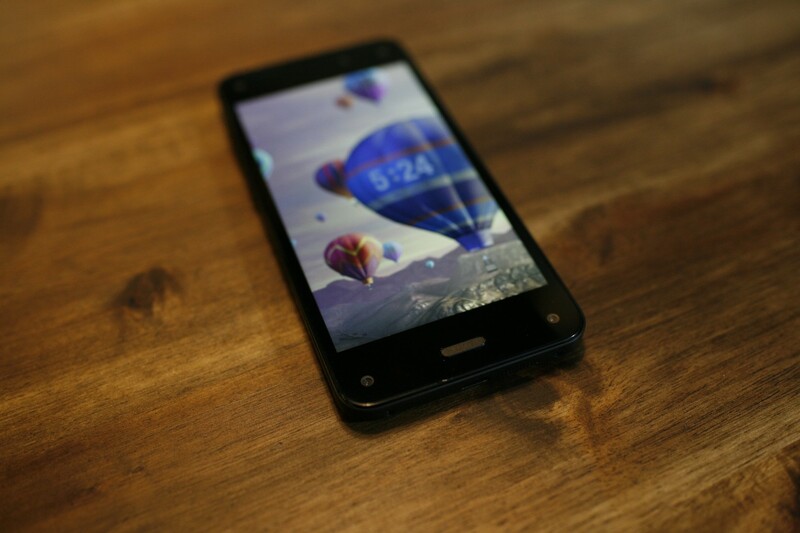 As a home screen, it’s gimmicky like Apple’s Parallax lock screens are gimmicky. 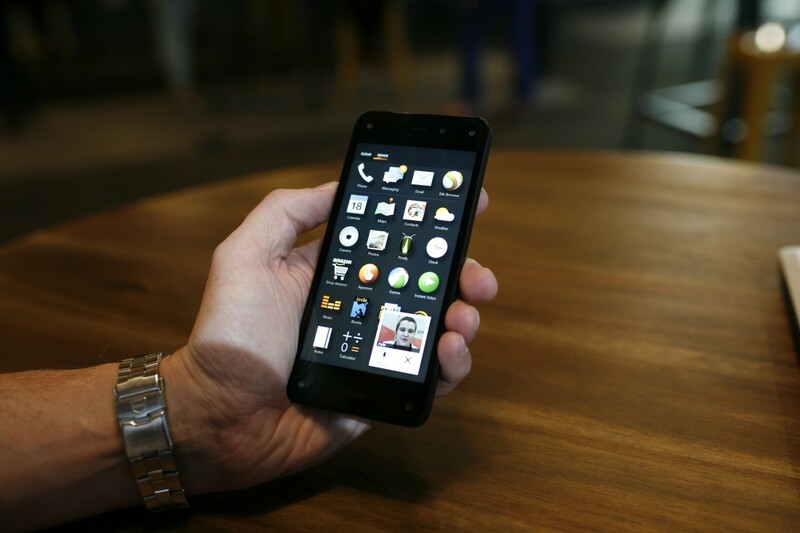 Cool when you want to show off a new phone, but that initial reaction fades. As for the tilting features of Dynamic Perspective in the UI, they’re actually pretty slick. This is where the feature can really come into its own for customers. 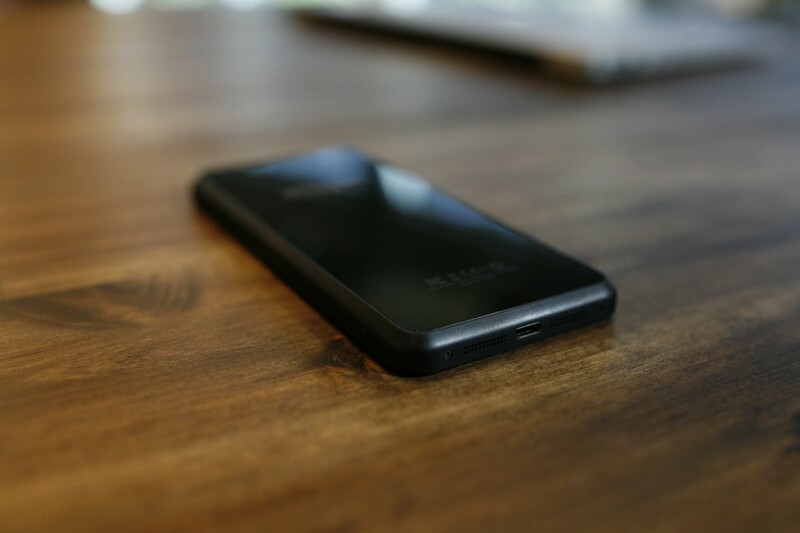 It’s really what sets the phone apart from the rest of the pack and other companies out there will probably offer their own version of the feature soon. 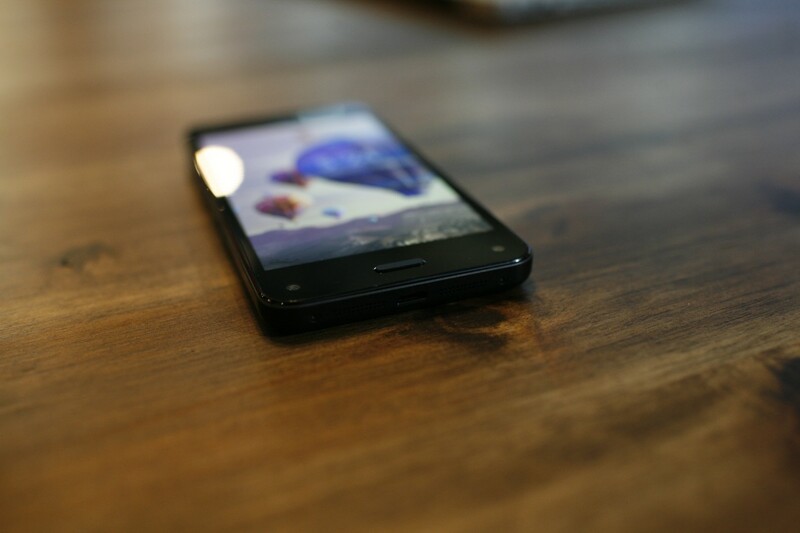 The phone features a 4.7-inch IPS HD Gorilla Glass display. One of the two features Bezos touted on stage was it’s 590 nits of brightness and circular polarizer. The phone is supposed to be viewable in landscape and portrait mode even while wearing polarized glasses. A quick test with a pair of sunglasses showed that the feature worked as advertised. The brightness level was higher than that of an iPhone, which should help when viewing the phone in bright sunlight. As for clarity, the phone’s display isn’t anything to crow about. 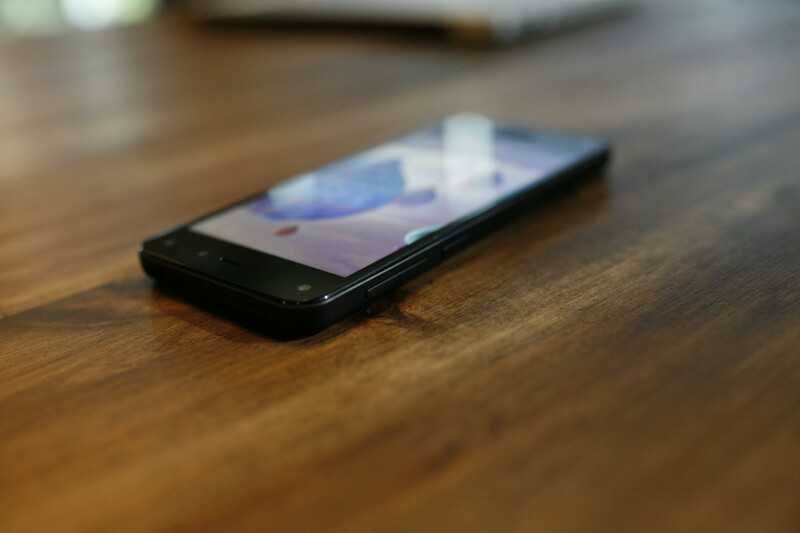 Based on the Flow feature found in the Amazon shopping app, Firefly is baked directly into the phone’s hardware with a dedicated button that double as a camera button. Push and hold the button to launch the feature and point the phone at products, phone numbers, bar codes, paintings, QR codes, URLs and posters. All of the items are placed in a queue and you can decide what you want to do with them. The app works quickly and as well as Flow during a demo. As for the upper limit of scanning items for a queue, Amazon told me they would get back to me about it. This feature is the ultimate showrooming utility. In a store you can quickly determine if you can get a better deal from the online retailer. And because it’s being opened up to third-party via the Firefly SDK, expect an influx of business recognition apps. Amazon has been bullish when it comes to making sure its tablets produce quality audio. 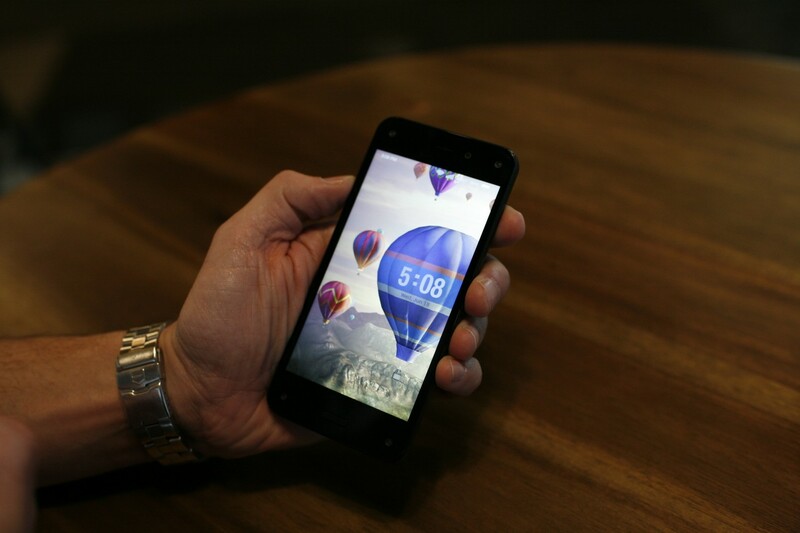 The inclusion of Dolby Digital in the Fire phone indicates that the company doesn’t see the smaller form factor as an excuse to phone it in (ha, get it? Phone…). The sound coming from the Fire is better than average. 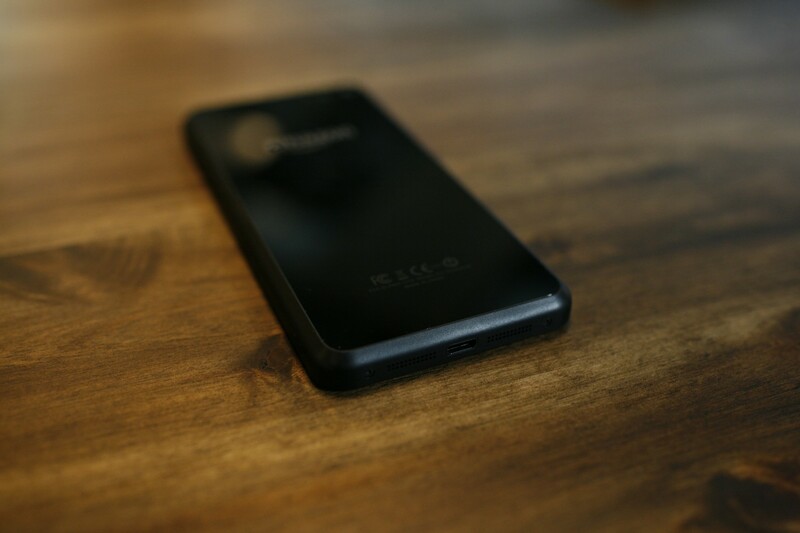 The sounds are deeper, but it’s still a phone so don’t expect deep bass hits. The push for better audio is because the Amazon experience depends on it. If the music or video you’re streaming sounds sub-par, it diminishes the Amazon experience. A good experience makes for happy customers that might just buy their next camera from you. The customer support feature that puts a little helper right inside your phone. The customer service rep is placed in a tiny window and can control your phone and draw on items to help you learn how to control your phone. It’s exactly like the Kindle Fire experience. Well, except smaller. This is what the phone is all about. The entire experience is built around using Amazon for everything and buying all your things from the company. Amazon isn’t coy about this. In fact, it’s very upfront about its hardware play to get you to buy everything from its store. To that end, the company gives anyone that buys a Fire a year of Prime for free. 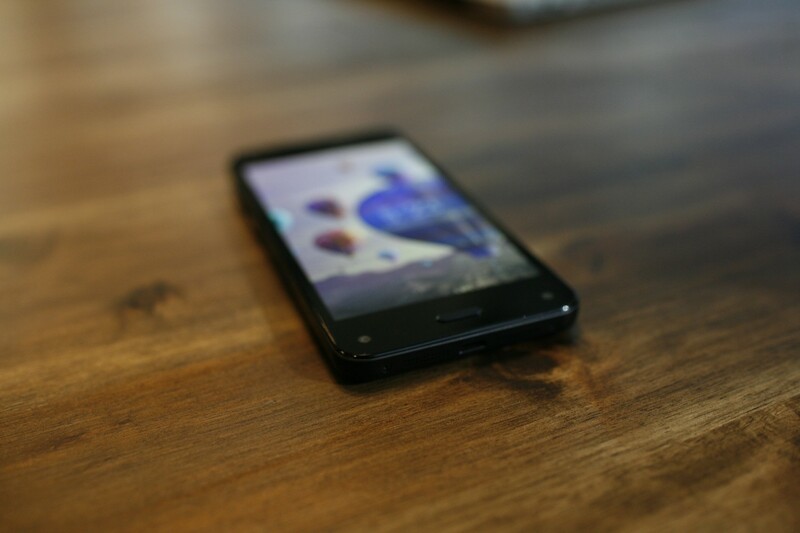 If you plan on buying the Fire phone, chances are you’re already a Prime member. So this effectively cuts $100 off the $199 (32GB) and $299 (64GB) price tags. Amazon is also offering free unlimited storage on Amazon Cloud Drive for your photos. But, with Flickr already offering 1TB of storage for photos, access to the Amazon Cloud Drive seems nice, but not worth switching smartphone ecosystems. And that’s what Amazon is offering. A smartphone entrance to a robust ecosystem. Instant Video includes X-ray for access to IMDB data about movies and TV shows, plus the same caching technology found in the Fire TV. 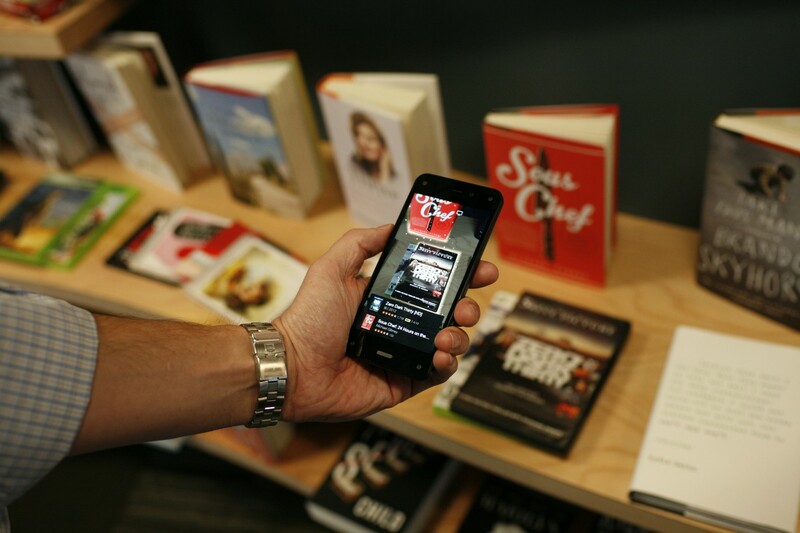 Last week, the company introduced Amazon Music streaming for Prime members and, of course, there’s the Kindle library that’s second to none in the e-book world. All of this and the store are intricate parts of the phone – all roads to the Buy Now button and if you’re cool with that, the Fire is worth considering. Maybe. 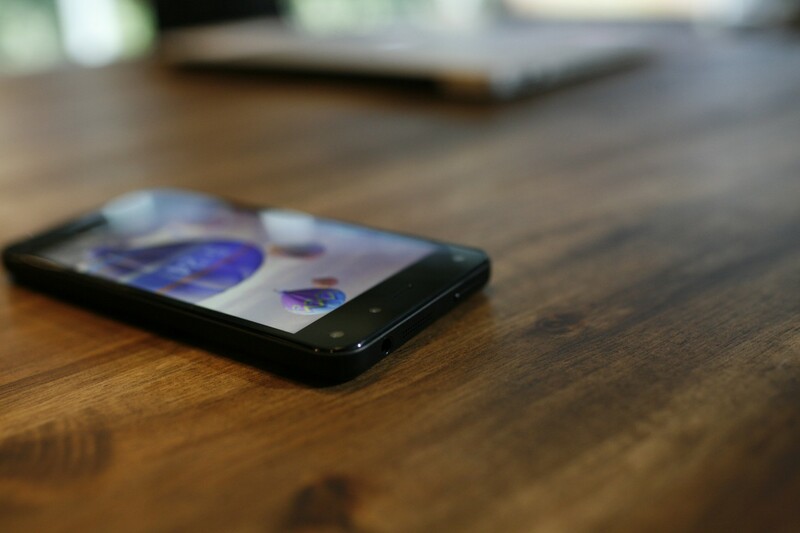 The actual phone itself is about the same size as a Samsung Galaxy S5. The rubber edges are a nice tactile touch. 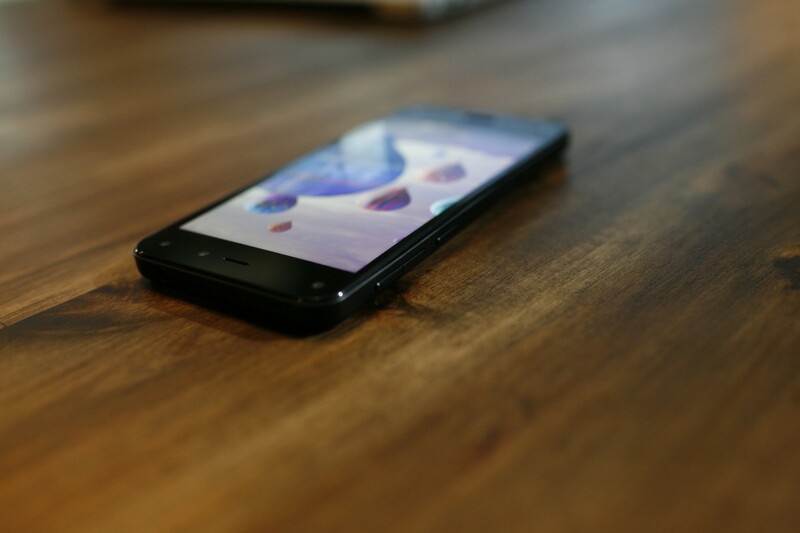 The phone has LTE and the current flavors of Wi-Fi. It also has NFC, but lacks Bluetooth LE. 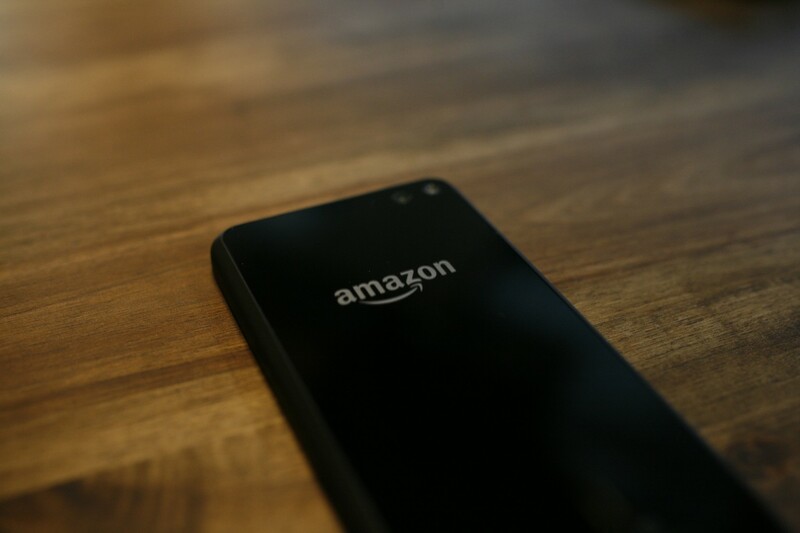 According to an Amazon representative, BLE is coming, but could not offer a timetable. So don’t expect your wearables to work with the new phone until some undetermined amount of time. That’s one of the issues that rears its head when your products are built on top of Android. 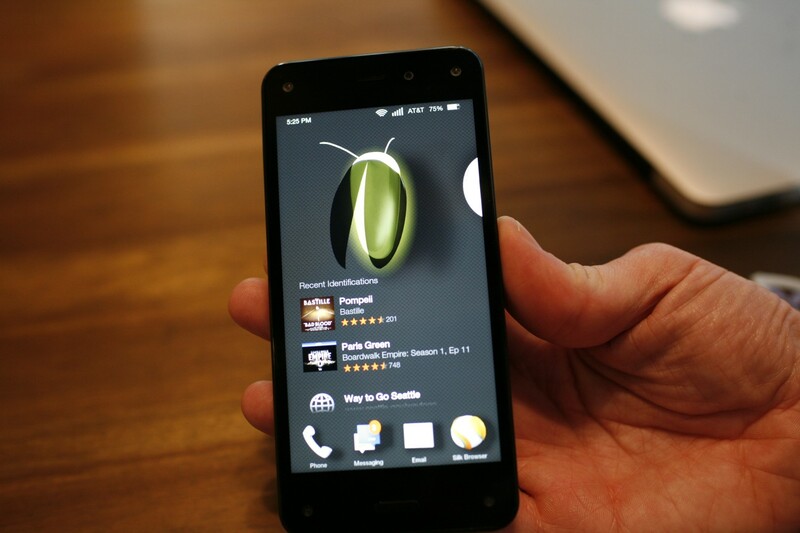 In order to take advantage of features like BLE support, Amazon has to update its forked version of the Google mobile operating system. This forking also kills inclusion of some of the best apps in the Google ecosystem. Namely Google apps like Maps, Google Music, and Google Now. The Fire does have Nokia Here maps, but anyone that uses Android or even iOS will be disappointed to see their favorite mapping app missing. Having these apps missing from a tablet is unfortunate, on a smartphone, it’s a huge gaping hole. 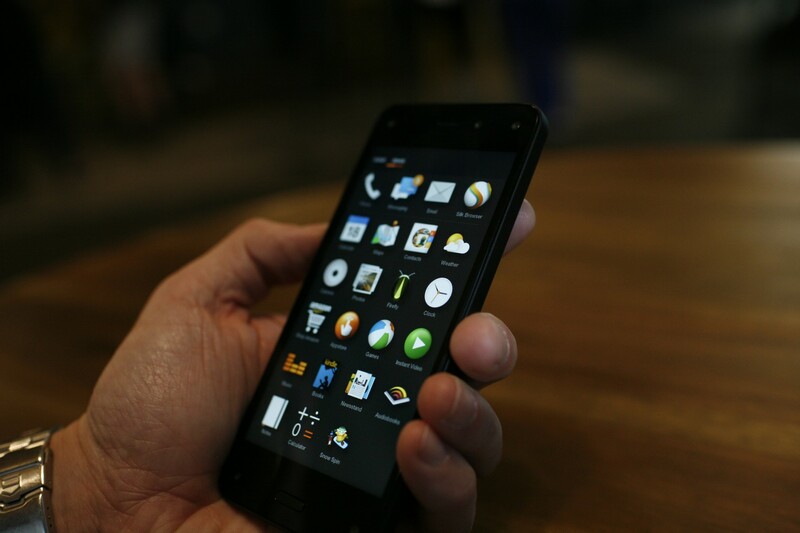 Once we have time to truly test the phone, we’ll have a better idea of how it compares to the rest of the market and if being wired directly into the Amazon ecosystem at all times is a good thing.